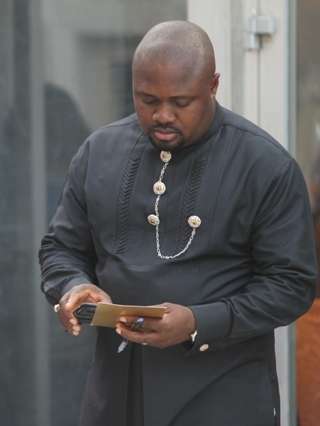 Former Senior Special Assistant on Domestic Affairs to ex- President Goodluck Jonathan, Waripamo-Owei Dudafa, and a bank official, Iwejuo Nna, (aka. Taiwo A. Ebenezer and Olugbenga Isaiah) were on Wednesday arraigned by the Economic and Financial Crimes Commission, EFCC, before Justice M.B. Idris of the Federal High Court Lagos on 23-counts of concealment, retention of proceeds of crime and failing to furnish information. Mr. Dudafa is alleged to have laundered over N1. 67 billion while performing his duties as top aide to the former president, through the accounts of four companies – Ebiwise Resources Limited, Avalon Global Property Development Company Limited, Rotato Inter-Link Services Limited and Pluto Property and Investment Company Limited. He allegedly received the assistance of the second defendant, Mr. Nna, a bank manager who was in charge of the accounts. When the charges were read to the defendants, they pleaded not guilty. Counsel to the defendants, Aboyega Oyewole and Sunday Abumere, informed the court of their applications for bail dated June 10 which was filed on June 13, 2016, and urged the court to grant the accused bail. Justice Idris adjourned the case till June 16, 2016 for hearing on the bail applications, while ordering the defendants to be remanded in prison custody. Simple theme. Theme images by 5ugarless. Powered by Blogger.